Dr. Gordon received her undergraduate degree from Lehigh University and earned her Optometry degree from the New England College of Optometry in Boston. She is certified in Advanced Ocular Therapeutics. 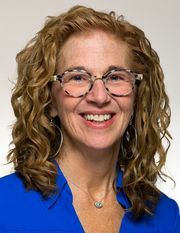 Dr. Gordon is a member of the American Optometric Association, the Connecticut Association of Optometrists, the Beta Sigma Kappa Honor Society and she has been practicing primary eye care in CT for over 30 years. 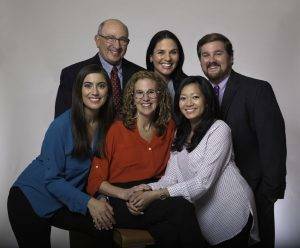 Carol’s warmth and kindness are her trademarks and she resides in Madison with her husband Mike, where they have raised their 4 children, Matt, Emily, Jake and Zach. She enjoys eye care mission trips, which have included Nicaragua, Dominican Republic, Haiti and most recently Tanzania! Dr. Pinn received his undergraduate degree from SCSU and following four years of teaching, earned his optometry degree at the Pennsylvania College of Optometry. He is certified in Advanced Optometric Vision Care. Dr. Pinn is a member and previous President of the Connecticut Association of Optometrists and the Old Saybrook Rotary Club (Paul Harris Fellow), as well as a member of the American Optometric Association. 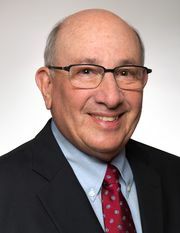 A dedicated servant to the optometric community, Dr. Pinn was Chairman for and served as a member of the Connecticut State Board of Examiners for Optometry under five Connecticut governors and has twice been awarded Connecticut’s Optometrist of the Year. Ed has been practicing optometry on the shoreline for over 40 years where he has raised his two children, Toby and Marc. He resides in Old Lyme with his wife, Linda. Dr. Nicholas Vezzoli received his Undergraduate degree from Providence College and his Optometry degree from the New England College of Optometry in Boston with Clinical Honors. Dr. Vezzoli focused his clinical externships in Ocular Disease at Boston Medical Center, Low Vision Rehabilitation at the West Haven VA Medical Center and primary eye care in private practice settings. His passion in the field is contact lens fittings, including Scleral Lenses for Keratoconic patients. Dr. Vezzoli is excited to join the Eye Doctors family and return to his hometown of Old Lyme where in his spare time he enjoys fishing, boating, and photography.